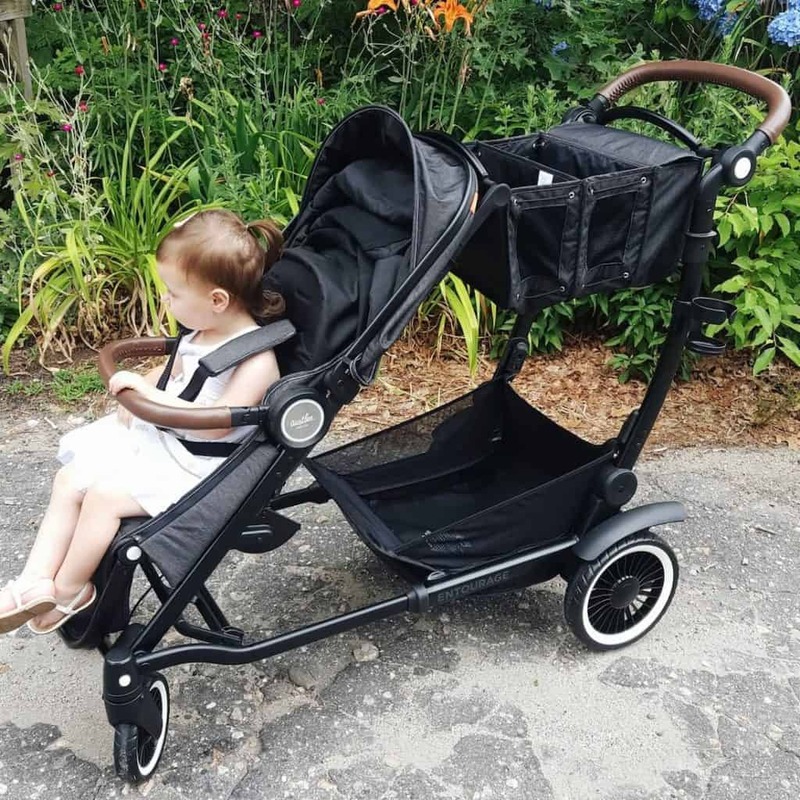 Austlen Entourage Review: The Workhorse Stroller that Families will Love! 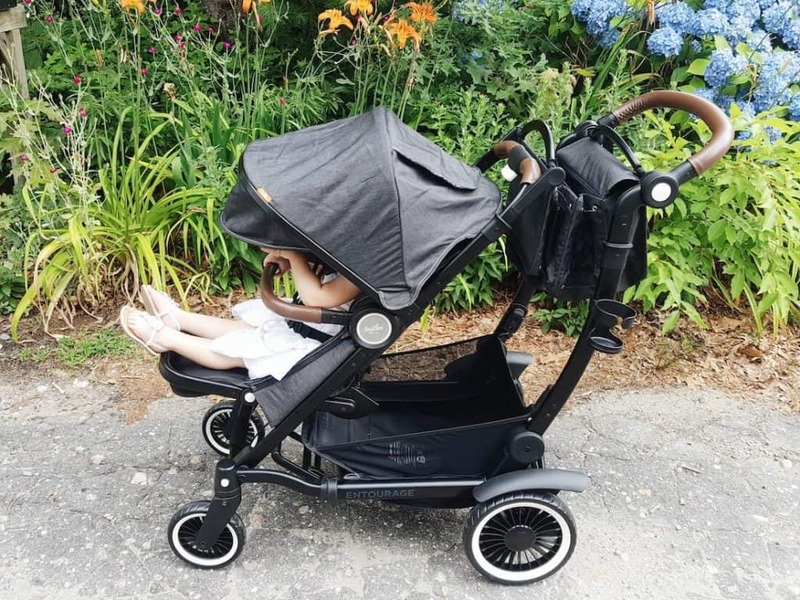 I have been saving publishing my Austlen Entourage review for quite some time because I wanted to provide a genuine perspective on this feature-packed single to tandem stroller. 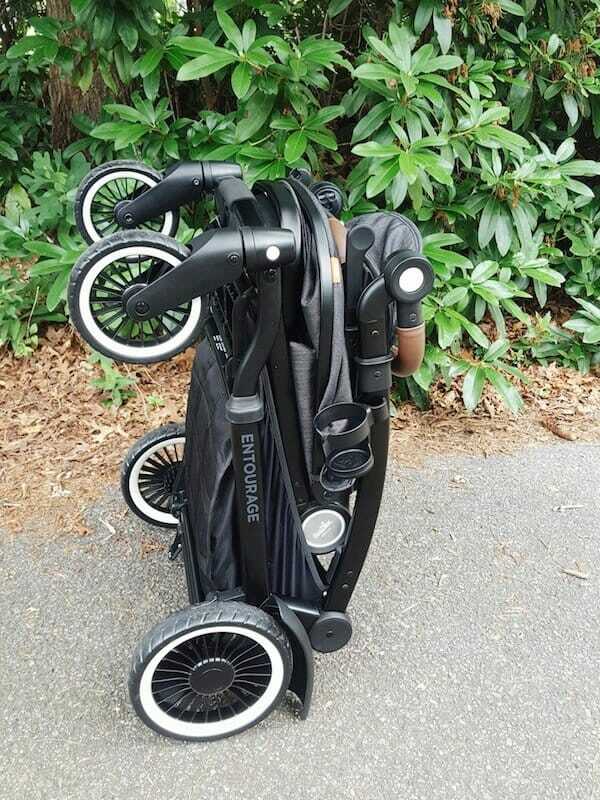 I was extremely impressed from the moment I saw it in baby gear circles, and excited to get the chance to check it out in person after being sent it for review. 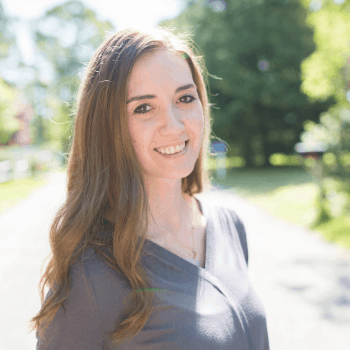 I decided to save posting about it to the blog until I had tested it out in multiple ways, including travel and a trip to Disney! So here we go! The team at Austlen created a truly beautiful and fully functional answer to the parenting woe of “too much stuff, not enough hands.” When I need the space, it is there, and with over 30 configurations it adapts in literally one second, taking it from single stroller with amazing storage in its most compact mode, to a fully extended market tote and lower basket that can carry anything summer adventures throw at it. 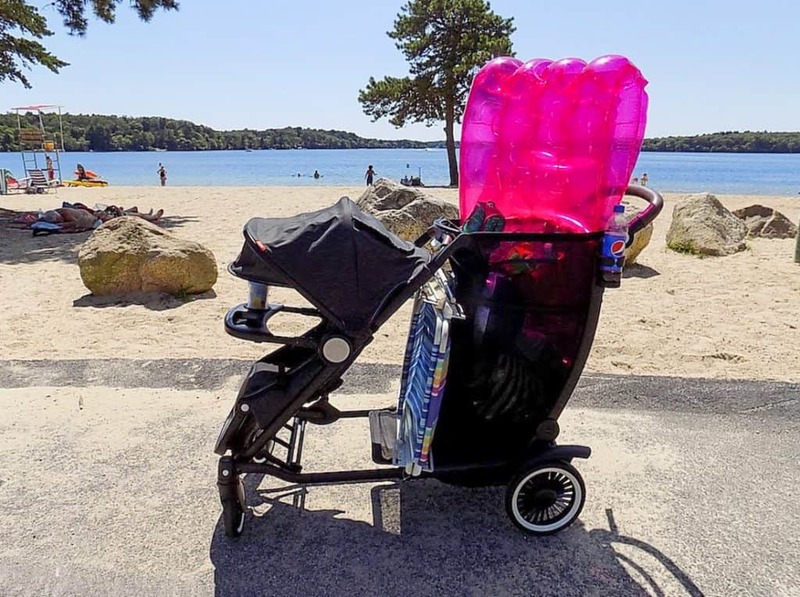 The many accessories and options turn it from storage packhorse to double stroller, a sit-and-stand, and even holds two infant bucket seats. Even the cargo bag can be used in two different lengths—genius! At maximum capacity between children and gear it can hold 150lbs—which is the highest capacity available on the market—and is simply incredible. 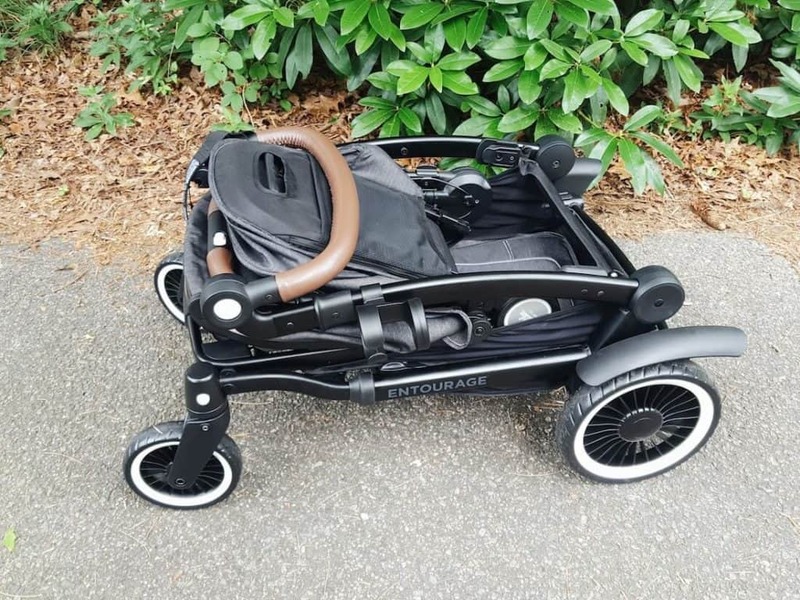 I love how much thought went into designing it—the stroller seat can fully recline and even turn into a bassinet even when storage is at full capacity. With all of that, it is still luxurious and easy to maneuver, and both assembly and changing configurations were a snap. The fenders literally snap on, and the wheels are simply inserted, and the market tote and lower basket sides are put into place. That’s it! To change configurations, all you need to do is squeeze a handle and slide the frame in or out, and then lift and place new accessories as desired. It is easy to fold/unfold as well. It definitely takes two hands (and I recommend putting the break on before folding it), but all that is required is to slide side levers to fold the seat origami style, and the repeat to fold the frame on top. It folds quite compact given its size, and even stands freely thanks to the fenders. I really appreciate the smart little features Austlen put into the Entourage. The fabric is gorgeous and durable (yet washable), and the belly bar and handle are wrapped in beautiful leather. The belly bar can detach on both sides and rather than simply swinging out vertically or horizontally in a stiff position, it has a full range of motion. The same is true for the optional snack tray which simply clicks into the same spot. It also has a pop-out top tray for easy washing! From the parent point of view, there are two peek-a-boo windows with magnetic closures (rather than loud velcro) and the market tote has a covered section with dedicated cup holder and places to store cell phones, wallets, and other quick access items. 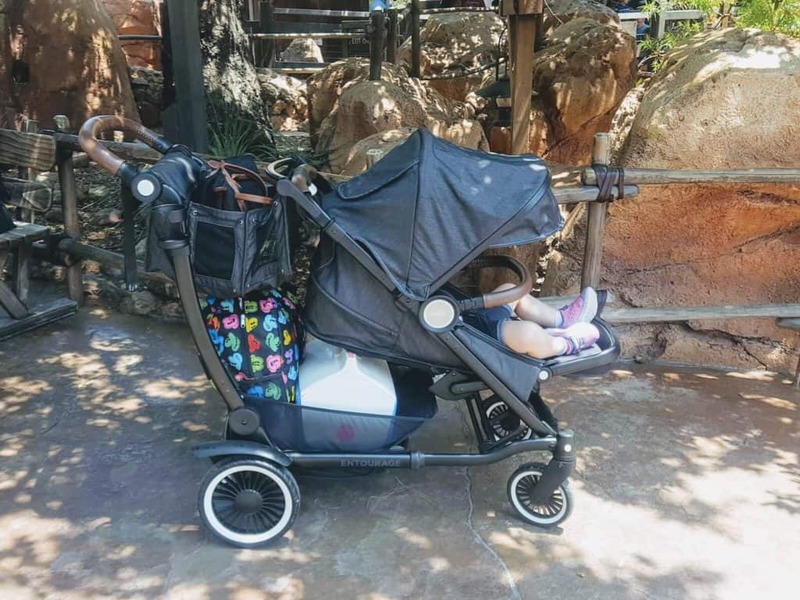 This workhorse of a stroller has taken us from shopping in markets to being the perfect beach cart, and all the way across the country for flights and a trip to Disneyland. Those last few situations are where the Austlen Entourage stroller really excels. It is so nice to be able to pack it full and still be able to push it easily where we need to go. Take the beach for example. 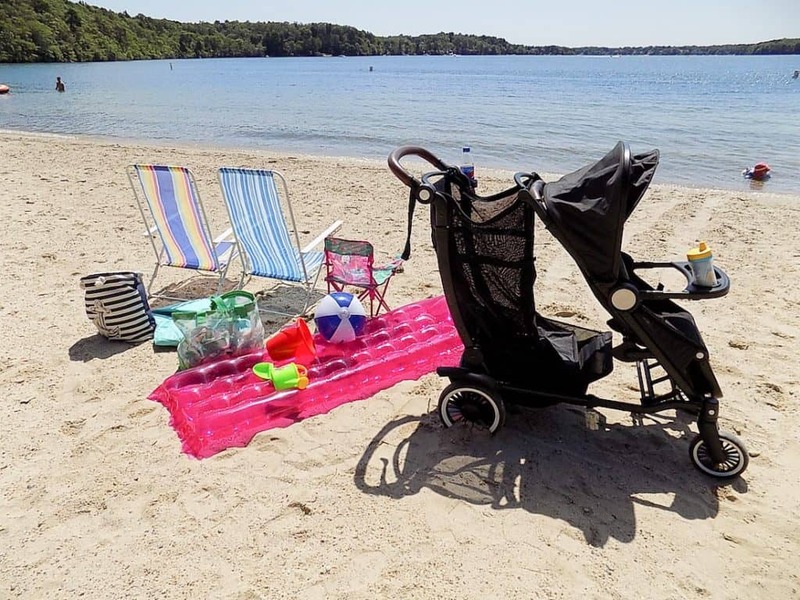 Using the optional cargo bag accessory—which like the stroller can be used on different capacity settings—I was able to load up a day’s worth of beach gear and hit the lake here on the Cape. I’m talking beach chairs, cooler and beach bags, rafts, and sand toys. It was so nice to be able to pull it right onto the beach—and would be even easier with the available beach wheels. For our trip to California, we loaded up the Austlen stroller with all of our bags and pushed Charlie from gate to gate. We were so thankful we had it with us when we found out after landing in LAX that we had to walk over a mile to change terminals! Being able to just put our luggage and carry-on bags in the basket made the entire time in the airport a breeze. And Disneyland? AMAZING with this stroller. 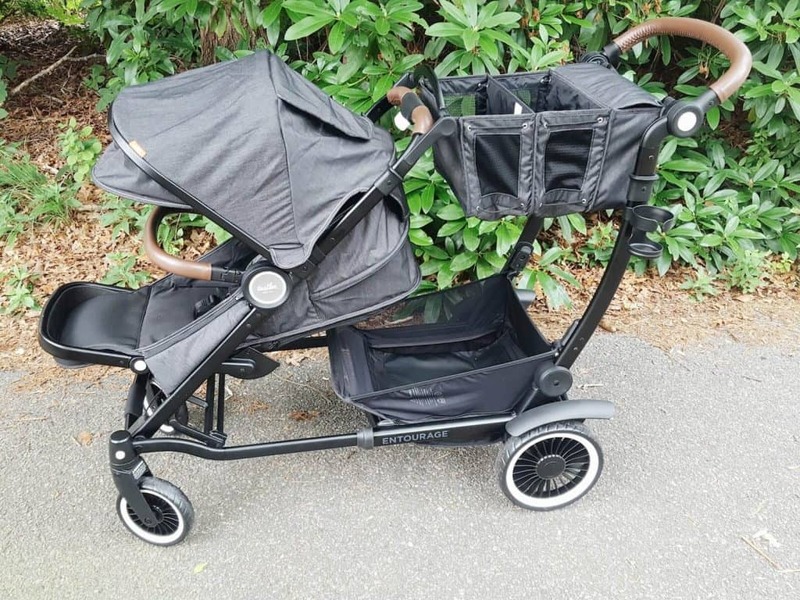 In fact, it was such a great stroller for Disney that I wrote an entire post about it. 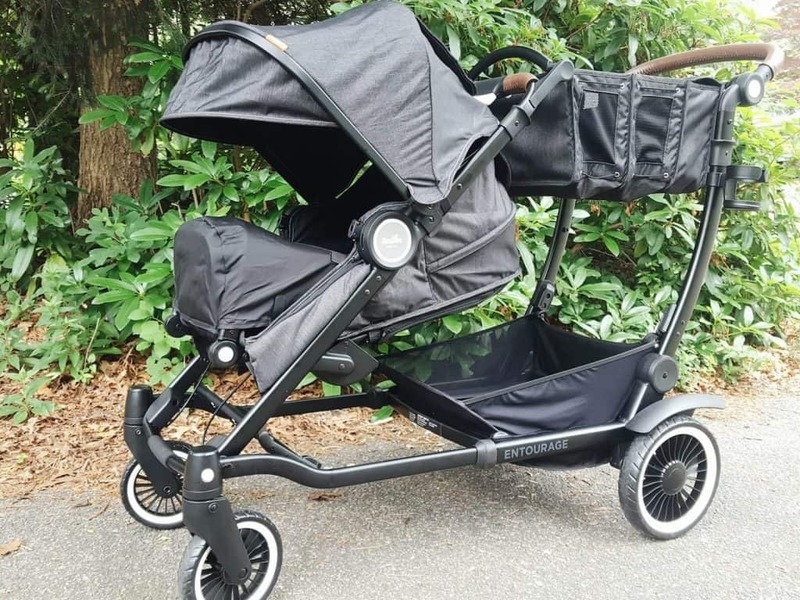 This is a heavier stroller since is a full-featured tandem stroller, and therefore is more of a heftier contender for short walks around the neighborhood or for families that don’t require bringing a lot of stuff with them. 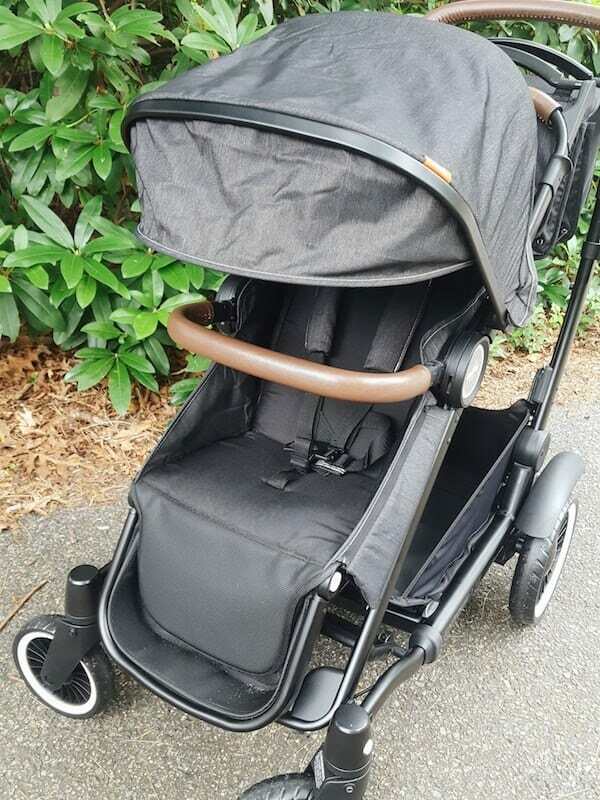 It would be a great choice for families that are always on the go and have lots of gear they need to take, growing families or families with multiple children who can appreciate the flexible seating configurations. 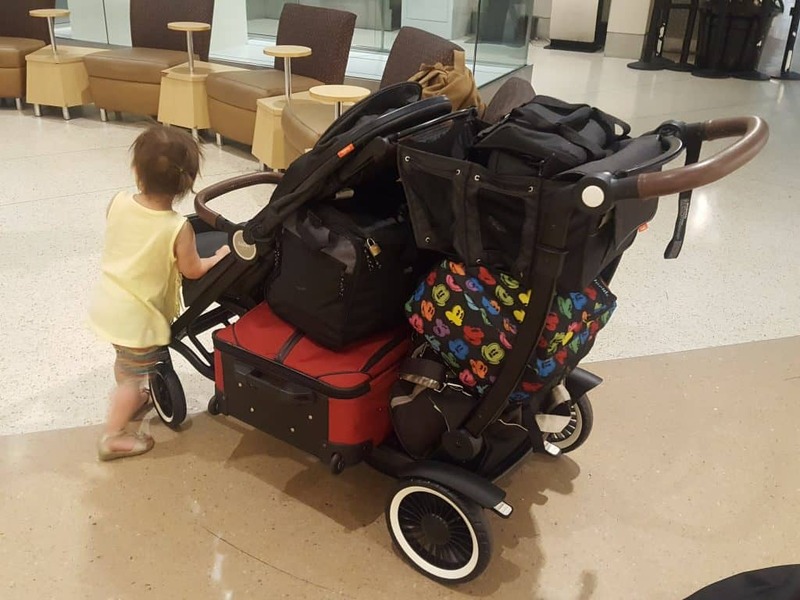 For parents who prefer lightweight strollers without extra gear, they may not appreciate the same ability to bring “ALL THE THINGS”. The footrest can be placed in three positions: the lower setting, flat, and bassinet. I do wish there was a middle option between the low and flat, as sometimes when my daughter has reclined the angle on the low setting seems a bit steep. She doesn’t seem to mind, however. Overall this is a beautiful, well-crafted stroller that truly has taken parents’ needs (and dreams) and made them a reality. I know this stroller will last through the years as my family grows, and I appreciate the flexibility it offers to tackle whatever the day may bring. 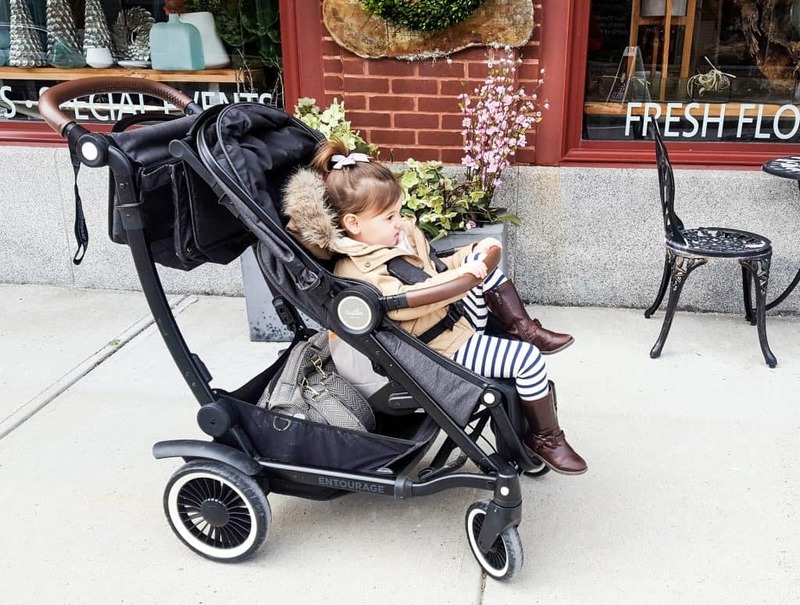 While it may not be in every parent’s price range, those who are able to consider it will be extremely happy with the quality, functionality, and smart configurations it offers—especially parents who need an extra hand (or 10!) to carry everything they need!